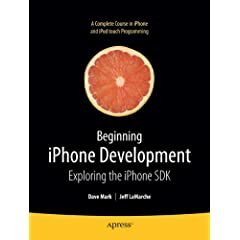 In talking to some of my fellow developer friends about the recent iPhone SDK launch, they are shocked and disappointed with Apple's for distribution model but especially with Apple's 70/30 split of the sale of the applications. I think this makes the program a great bargain. For example other forms of distribution like retail often have a 40-50% markup. More importantly Apple is providing the opportunity by providing and opening the platform and SDK at no additional charge. I also can't believe the Standard Developer Program is only $99. I have been developing J2ME application for several years now. Whenever you deploy you typically need to sign the J2ME app it can be $500 for a single deployment option because of certificates. If want to make your application available through several carriers you might have to have several certificates which cost additional money and add to the packaging and deployment complexity. Finally, if you are looking for iPhone developers please contact me, I am very excited about the platform and would love the opportunity to work on this new frontier.